GoPro Video Tour of The Maxwell's Brand New Apartments. 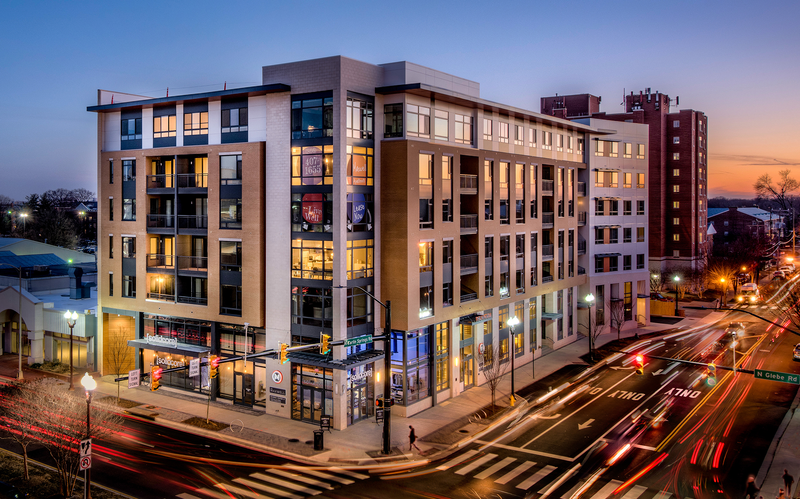 We weren’t sure if we were doing The Maxwell justice with just photos, so we decided to bring you some up close and personal GoPro tours of our brand new, luxury apartments in Ballston, Virginia. You can find all of these videos and more on our YouTube channel here. Here, Kevin & Jaimee take you on a tour of The Maxwell’s stylish lobby and luxury amenities that are available to our residents 24/7. Some of our coveted amenities include a conference center, a mail room fully equipped with Building Link, outdoor area, billiards table, controlled access parking garage, large fitness center and more. You can read about our full list of amenities on our website here. Welcome to the One Bedroom with Den model apartment at The Maxwell. This corner unit with floor-to-ceiling windows, quartz counter tops, stainless steel appliances, a large kitchen island and the best view of Ballston’s city life. See the full list of units currently available for lease today at The Maxwell here. Take a peek at one of our 13 brand new, One Bedroom with Loft apartments. Some of it’s best features include ample natural light, twenty foot ceilings, a spiral staircase and personal street access. See the full list of units currently available for lease today at The Maxwell here. That’s it for now! Be sure to subscribe to our YouTube channel for more videos like these. Or, come on by to see The Maxwell and all it has to offer at 4200 N. Carlin Springs Road located right in the heart of Ballston in Arlington, Virginia.